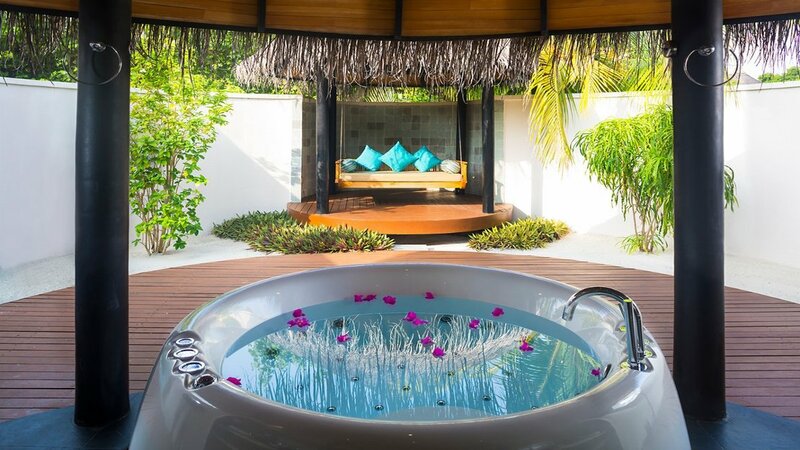 Get set to discover pure indulgence among spectacular tropical scenery at The Sun Siyam Iru Fushi resort in the heart of the Maldives. Whether you’re seeking a family holiday of a lifetime, a romantic escape, or a dream wedding destination, you can expect to enjoy heavenly days lazing on the sun-drenched beach, or exhilarating activities which will leave you breathless. 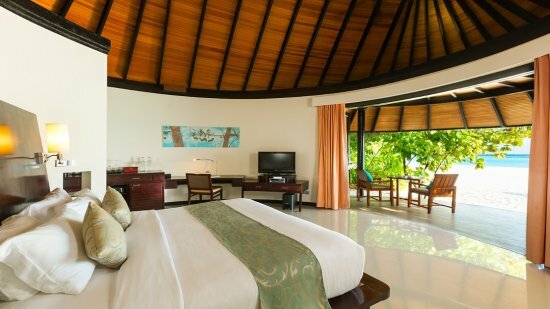 Relaxation is guaranteed during a stay in the extravagant beachfront or overwater villas, with a whole host of luxuries to thrill the senses. 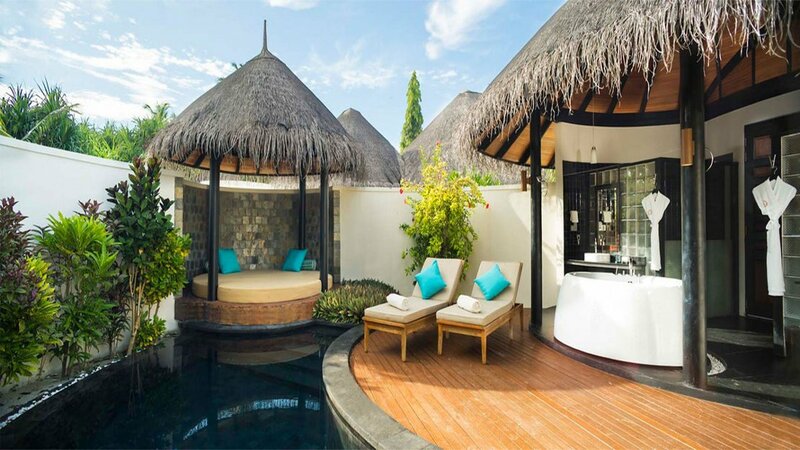 Guests can also revive their bodies and minds at the spa or enjoy a leisurely swim in one of two pools. All this indulgence is sure to give you an appetite and with a number of exquisite dining options available, you will have plenty of food for thought on where to eat. But worry not, as the amazing all-inclusive package can help to make the choice a little easier and ensure you’re never left wanting. This is always an advantage if you’re looking to stay fuelled up for all the adventures to be had in paradise. The fun begins as soon as the sun comes up, with a sunrise snorkelling trip the perfect way to kick off an incredible day. 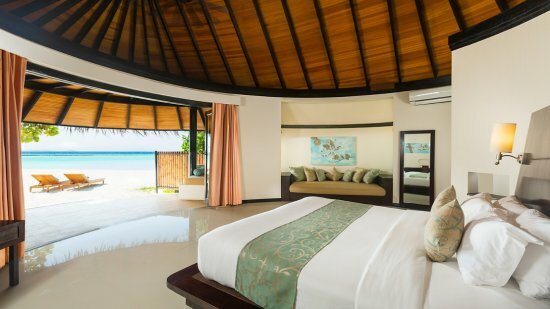 Guests can also enjoy a whole host of water sports, along with scuba diving, big game fishing and a number of cruises to take in the mesmerising sights to be seen in the shimmering turquoise waters surrounding the island. 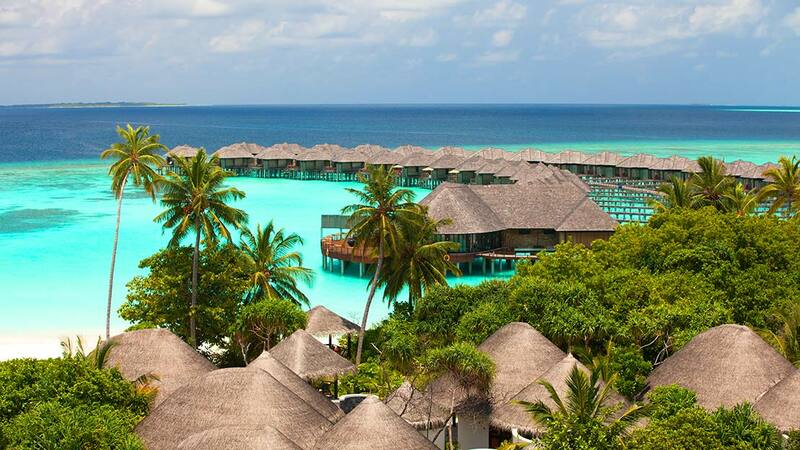 All this and more can be found at the magnificent Sun Siyam Iru Fushi resort, the perfect destination to experience the unique beauty of the Maldives. 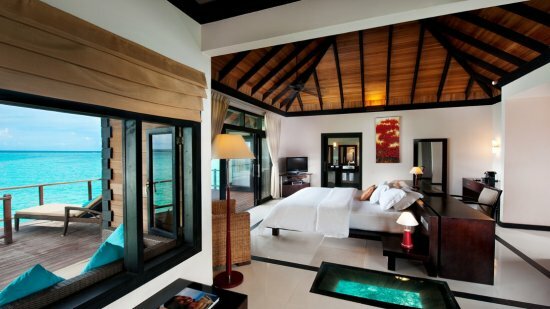 Powdery white beaches and crystal-clear waters surround The Sun Siyam Iru Fushi resort. 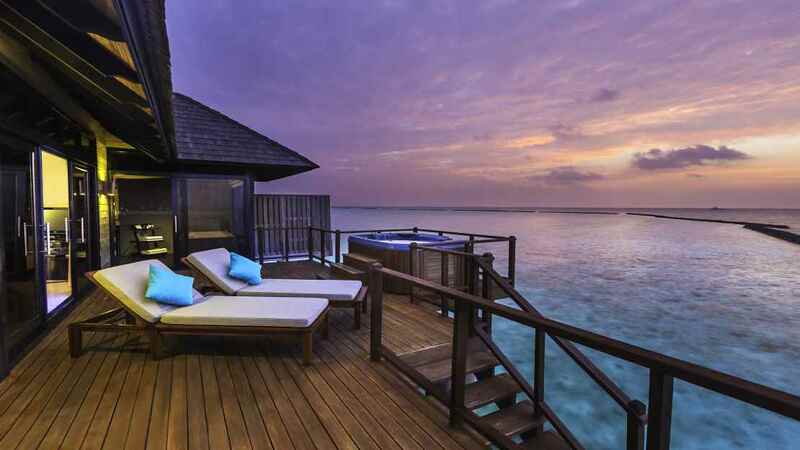 Malé International Airport is approximately a 45-minute seaplane journey away from The Sun Siyam Iru Fushi.